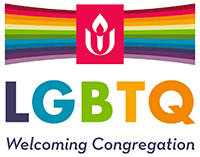 As a Unitarian Universalist congregation, we are self-governing, we choose our own leaders, we handle our own finances, and we choose our own delegates to the annual UUA General Assembly. Governance is the system by which we organize and assign authority within the congregation. Since our founding in 2003, we’ve governed ourselves by means of a Board of Trustees and several Standing Committees with responsibilities and authority defined by the Bylaws (click here for our current bylaws). We’ve also added and decommissioned other Committees and Task Forces as needs come and go. According to the Bylaws, the Board of Trustees “shall have general charge of the property of the church, the conduct of all its business affairs, and the control of its administration, including the appointment of such committees as it may deem necessary. It shall present a draft church budget for approval or amendment at the Annual meeting.” Sounds pretty dry, doesn’t it? But written between the lines is the promise that the Board will always act in the best interests of the church to the best of its ability, to be a good steward of the church’s resources, to promote individual initiative and empowerment, to foster creative problem-solving, to make decisions considering future impact, to anticipate needs before they become issues – and to keep a vision of where our church is going. This is not dry stuff – it’s serious business. President – The President serves as Chair of the Board, is an ex officio non-voting member of all committees, presides at all meetings of the Board and of the congregation, and represents the Church to the larger community as appropriate. President-Elect – The President-Elect assists the President as necessary and appropriate, and presides at all meetings of the Board or congregation in the absence of the President. The President-Elect assumes the office of President upon completion of a term of one year, or if for any reason the President is no longer able to serve. Secretary – The Secretary keeps an accurate record of meetings of the Board, the Annual Meeting, and Called Meetings of the congregation, notifies members of the congregation and the Board of the time, place and purpose of meetings, and provides formal meeting minutes for Board members and the congregation. Treasurer – The Treasurer is responsible for the receipt and safekeeping of all financial and intangible property of the Church as well as serving on the Finance Committee. The Treasurer ensures the Finance Committee follows approved finance policies and operating procedures, including the selection of individuals to carry out the duties of receiving and disbursing funds. The Treasurer also provides written monthly financial reports to the Board. Member-at-Large – The Member-at Large represents the general membership on issues of interest or concern, particularly those that arise outside the standing committee structure. Board elections are held each year at the Annual Congregational Meeting which takes place in late spring close to the end of our fiscal year (our fiscal year runs from July 1st through June 30th of the following year). Any member of the congregation who has been a member for at least 30 days can vote in the annual Board elections, as well as on any other important matter which may come before the congregation at that time. All Board members serve for two years except for the Member-at-Large who serves a one-year term. The Treasurer and Secretary terms are staggered, and the President-Elect serves their second year as President. 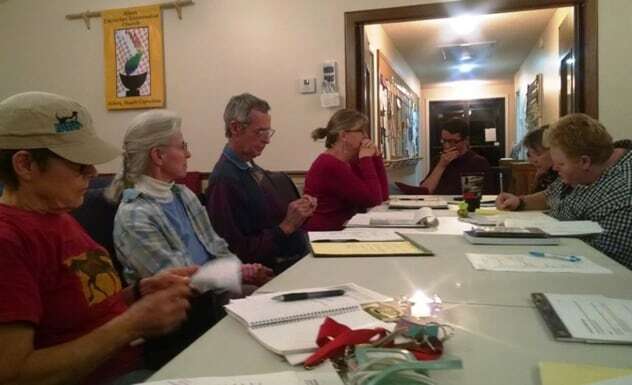 The Board meets on the second Wednesday of every month. Beginning in July and every other month thereafter (July, September, November, January, March, and May), the Board meeting is expanded to include all Committee leadership. This group forms the Committee Council. All meetings are open to all members and friends of the church. Finance – The Finance Committee manages the church’s finances, formulates the annual budget, tracks income and expenses relative to the approved budget, pays all bills and makes all deposits, and handles payroll and taxes for paid staff. The committee also maintains all financial records and provides periodic reports to each contributor and to the Board. Membership – The Membership Committee builds and maintains membership by keeping membership publications up to date and helping newcomers to feel welcome and get involved. The committee also oversees Pastoral Care and hospitality, maintains membership data, publishes a directory, creates name tags as needed, schedules greeters, helps coordinate the All-Comers gatherings and plans recognition ceremonies for new members, staff, and volunteers. Worship – The Worship Committee is responsible for planning and coordinating the Sunday services in collaboration with the Minister. The committee oversees the continued growth of the Order of Service framework and rituals, schedules upcoming services with an eye to keeping a balance of various service types (UU history, social action, intergenerational, exploration of other religions and practices, etc. ), provides readings and other elements of the services when needed, and invites members to speak on specific topics or to identify guest speakers appropriate for UU congregations. The committee assigns a Coordinator for each service to ensure that all the details are handled to make the service go smoothly, and reviews services after completion to help in future planning. The committee also works with the Music Director and Choir to plan for the musical aspects of every service with recorded music, selected hymns, or live performances, and oversees the operation of the sanctuary sound system. Social Justice – The Social Justice Committee maintains relationships with the community and the denomination and promotes activities related to Social Justice. The committee identifies the local charitable organizations designated to receive a portion of the Sunday collection. The committee also represents AUUC with community ecumenical groups, provides information to the congregation on Social Justice issues and educates the congregation on how to get involved. Adult RE – The Adult RE Committee coordinates the small ministry groups, other small groups for selected interests, the All-Comers gatherings, and other classes of interest to adult member and friends. Youth RE – The Children’s RE Committee coordinates the Sunday School and related activities for children and families. Building & Grounds – The Buildings and Grounds Committee oversees maintenance and improvement of the church’s facilities. The committee uses the skills of members of the congregation whenever appropriate, but also provides oversight for outside contractors, and coordinates gardening and lawn care of the church property. Safety & Ethics – The Safety & Ethics Committee maintains the Safe Congregation Policies and Procedures and ensures their compliance. These policies and procedures include screening of all employees and volunteers who come into contact with children and youth and the use of a Limited Access Agreement when necessary. The committee also handles relationship issues in the areas of conflict resolution, covenants for discussion, and criminal or disruptive behavior. Personnel – The Personnel Committee, in conjunction with the Minister, is responsible for oversight of all non-ministerial positions, including job descriptions, supervision of annual performance reviews, construction of compensation packages, and monitoring compliance with Church policies, grievance procedures, and other personnel guidelines. Nominating – The Nominating committee provides a proposed slate of Board of Trustee officers, Member-at-Large and Nominating Committee members to be published during the month prior to the Annual Meeting. The committee also provides such nominees when necessary to fill vacancies which may occur during the year. Committee on Shared Ministry – The role of the Committee on Shared Ministry (COSM) is to monitor the alignment of the congregation’s ministries with its mission and vision and, by doing so, to strengthen the quality of ministry for the congregation. The COSM looks at how well the congregation is fulfilling its mission through its ministries and how well the mission of the congregation reflects the energies and interests of the congregation. Fun – The Fun Committee plans and organizes events designed to build community within the congregation in an environment of friendship and sharing. Good food and entertainment are almost always involved. Under the leadership of the committee chairperson (or persons), each committee develops their own plans and sets their own schedule of activities and meeting times in support of their ministry focus. The Board may create additional committees or task groups as needed to perform other functions and duties in the life of the church. Each year a Stewardship Committee is formed in December to plan and conduct the annual stewardship drive which takes place in the Spring. Special fundraising teams will come together to plan and conduct fundraising events. Our mission statement was created by a Task Force on Mission, and our Strategic Plan is updated periodically by an ad hoc strategic planning committee. Governance, then, is the way we organize the work we do and how we assign responsibility and accountability. Our goal in governance is to be effective and inclusive, honoring the talents and needs of our congregation while upholding the seven principles of our faith.